A British law firm has released a new report detailing horrific violations of international humanitarian law that it attributes to the Syria regime. The report was released by the Carter-Ruck Firm, whose work was financed by the Government of Qatar. The evidence in the report, mostly photographic, was smuggled out of Syria by a government defector. David Crane is the former chief prosecutor of the Special Court for Sierra Leone, and is now a law professor at Syracuse University in Syracuse, NY. Crane was responsible for the indictment of Liberian President Charles Taylor, although the trial was conducted after Crane left the tribunal. Geoffrey Nice worked for the Office of the Prosecutor at the ICTY. 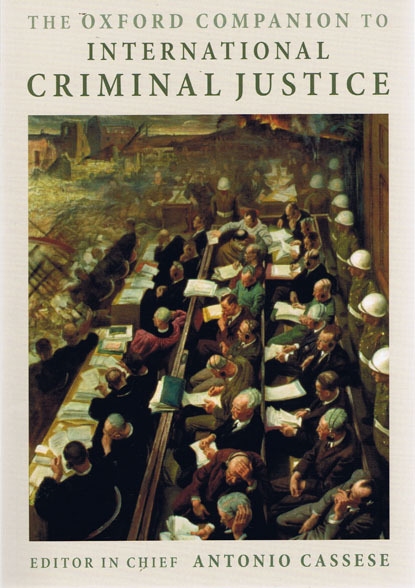 In that capacity he served as trial attorney in the prosecution of Slobodan Milosevic. 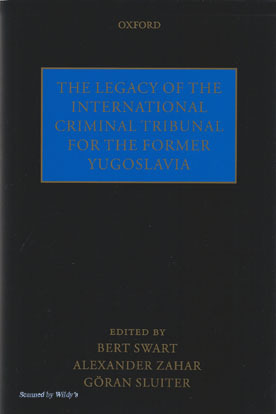 He generated substantial controversy when he openly criticized his former boss, Chief Prosecutor Carla del Ponte, for her handling of confidential Serbian government documents that were made available to ICTY prosecutors preparing the Milosevic case but which were shielded from other cases, including the Bosnia v. Serbia genocide case heard by the International Court of Justice. The third author of the report is lawyer Desmond de Silva, another former chief prosecutor at the Special Court for Sierra Leone. 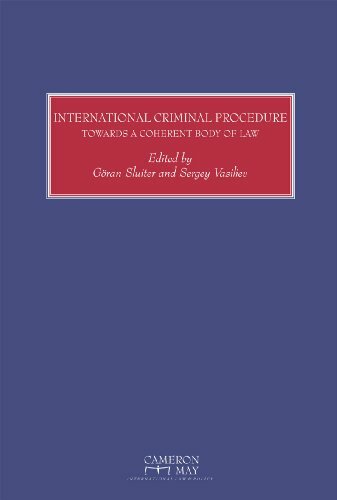 Apparently, the law firm selected these individuals as authors because they wanted individuals who could personally attest that this evidence was of the type and magnitude that could be presented to an international tribunal that could serve as the basis for prosecuting top Syrian officials. The material in the report was provided by an individual known by the pseudonym “Caesar”. The report itself does not include the bulk of the photographs – only a small number are included as examples so that the readers can get a sense of them. However, the authors of the report reviewed the photographs in conjunction with forensic specialists who examined them and rendered evidentiary conclusions about them. Specifically, the report concludes that the photographs represent evidence of systematic torture on a mass scale, including starvation as a means of torture. According to the forensic examiners, a large number of the photographs show bodies that are severely emaciated. A significant number of bodies also showed ligature marks consistent with strangulation. Although wartime injuries, even those arising from lawful killings, are likely to be gruesome in nature, the report concludes that the type of injuries seen in the photographs suggest torture during interrogation in a way that could constitute war crimes and crimes against humanity. Is there direct evidence that the crimes in question were committed by Syria government officials? The source, Caesar, did not witness any torture nor did he witness the killings of the individuals. He simply photographed the bodies after the individuals were already deceased. However, the report infers that the large number of bodies in the position of Syria officials is only possible if the government was the agent responsible for the crimes. Why would the Syrian government order the creation of the photographs? In a world of international scrutiny, this makes little sense. The report provides a speculative answer. First, perhaps the photographs were required as evidence in order to allow doctors to issue false death certificates that would conceal the true nature of the deaths. Second, perhaps the photographs were created in order to document, to those higher in the chain of command, that their orders regarding the detention and torture program were in fact carried out. What happens next? It is unlikely that Syria will be referred by the Security Council to the International Criminal Court, since Russia and China would likely veto such a move, at least while the conflict is on-going. An after-the-war referral might be a different situation, and perhaps Russia and China could be convinced to abstain in the same manner that the US abstained from the Darfur referral. Perhaps the more likely situation is for the rebels to gain enough territorial control that the world community (minus China and Russia) feels comfortable recognizing the rebels as the legitimate government of Syria. 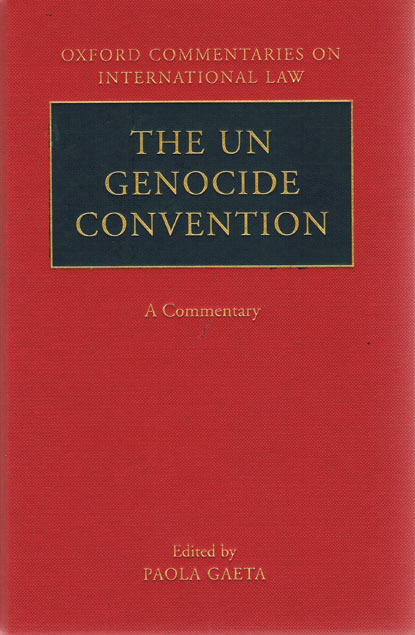 At that point, the rebels-qua-government could attempt to ratify the Rome Statute and self-refer the situation to the ICC Prosecutor for investigation, although there would inevitably be complex questions regarding whether this new, hypothetical Syrian government could grant the court jurisdiction over crimes committed before Syria ratified the Statute. However, it seems clear that a new Syrian government could grant the court retroactive jurisdiction by making an official declaration pursuant to articles 11(2) and 12(3) of the Rome Statute. This is really a nice !! I feel some inner meaningful one. really good. I just visited here for some good notes okay it is a fine work. But students need a good guide before writing so they can choose the best essay writing services provider. I love this look so much, and you look so happy! Just keep updating much useful information so that reader like me would come back over and over again. I go through your blog.Truly this blog site retaining a unique and interesting data. I want to say about this article, uummm this is amazing and nice post. it is really useful information. I was actually captured with the piece of resources you have got here. Big thumbs up for making such wonderful blog page and keep it up. It’s very informative and useful option for the daily online readers. Thumbs up for you! Your courier has been a lot constructive in this concern. Appreciates for second famous declare. We also share some information about our business. Good article, useful if you need a high-quality material for the essay, but do not want to do the research. It's a little advice for each student who does not like to do research, but might have something write on the basis of facts. If this is not your option, then you need help these guys https://99papers.com/. They will help you do everything in the best possible way, but this is not the best option for you, it shall not be good in the long term. This is a very interesting idea but I don`t know how to write correctly. And it has been a problem for a long time. Until I found this great artilce. But now I`m learning grammar strenuously, and believe that it help me in future. Nice Blog.Thank you for Sharing. Get your business to the next level in simple steps. Thanks for sharing this Information with us. I really impressed by this website, Now this my Bookmarked website. For More Thanks for sharing this Information with us. I really impressed by this website, Now this my Bookmarked website. For More Updates Click tech tips and tricks Here. I have much famous independence day message for this independence day 2017 sop choose one of the best wishes for your friends and celebrated with your friends. Betbola77 Agen Judi Online terbaik terbesar dan terpercaya berbasis dikamboja yang menyediakan produk jenis permainan taruhan online Betbola77 Agen Bola, Agen Sbobet, Agen Judi Terpercaya. Agen Piala Dunia 2018 yang merekomendasikan permainan dunia sepakbola situs judi bola, agen bola terpercaya, sbobet88, judi online, bandar bola, casino, togel online, sabung ayam, poker online.